When you have the chance to swim in open water, the goal is to transfer your pool skills and fitness to the race venue. Swim training at the local pond or beach improves race times, increases confidence, and brings a change of pace to the monotony of endless laps in the pool. In the “wild” environment of the open water, always take a few minutes to familiarize yourself with your surroundings: Are there any obstacles to the entry or exit? What is the water temperature? Will you need a wetsuit? What are the currents, riptides, waves, chop, etc. Once you’re in, practice your open water safety skills like treading water, breathing when the cold water takes your breath away, floating on your back, and using an alternate resting stroke. If you’re new to open water, swimming alone or have some anxiety, there’s a new device called the International Swimming Hall of Fame Safe Swimmer buoy. It’s a lightweight inflatable bright orange buoy that floats behind you while swimming and can be used as a flotation device as needed. Remember to warm up! Think of what you would do in the pool. Easy swimming, light drills, and alternate strokes are all good options. Get into a comfortable rhythm of breathing as this will both calm you and prepare you for the workout. A few minutes of drills will get you focused on good stroke mechanics right from the start. Pre-race warm up is not always possible or optimal. Plan for this scenario with a dry land warm up or the shortest, most efficient warm up possible. With no black line to follow, no walls and lane lines to guide you, sighting and navigation present a new challenge. First, check your goggles. Do they leak, fog up, or do you spend a lot of time messing with them? Do you need prescription goggles? Get a pair of goggles that fit properly, stay in place and are as fog-free as possible (anti-fog solution or mild soap is very helpful). Always have a spare pair. These simple acts will help decrease any sense of disorientation that often occurs while in the open water. Good navigation starts with clear vision. Sighting is almost an act of faith. Understand that you may not always get a clear view of the buoy you’re aiming for. There is often a delay between what your eyes see and when your brain process it. Get a glimpse, keep moving and wait for your brain to then tell you what your eyes just saw. Swimming straight is another challenge. Improvement here begins with the best, most efficient and symmetrical stroke you can produce. No need to swim farther than the race distance. Choose a course free from obstacles. Then swim with your eyes closed for 10 to 20 strokes (counting single arm entry). See where you end up and what you need to correct. Once you’ve determined how straight you swim, next comes how to sight and how often. While standing at the shore, it’s quite easy to see where you’re planning to go and the landmarks or buoys you’re aiming for. But, down at water level with your head only inches from the surface, these markers can suddenly disappear. Take the time to get in the water and look for your markers. They often need to be bigger and higher than you planned; a land based object works well such as a tree, building, balloons, flags, etc. If you’re swimming straight into the sun, consider this variable as it can be blinding. Try tinted or polarized goggles. If you’re not swimming straight, practice sight breathing more frequently, every 3-5 strokes. Once you’ve learned to swim straighter, sight less frequently, every 8-10 strokes. As your arm enters the water, push down on the water and slightly lift your head up, only enough for your eyes to clear the surface; think “alligator eyes”. Take a quick look, turn your head to the side to inhale, then put your face back in the water. Or, take your side breath first, follow your arm forward and sight after your breath. Practice to perform this in one smooth motion. Swim like a water polo player or lifeguard: head out of water, head still, strong pull and kick. This is a great drill for increasing the strength of your pull and giving a clear demonstration why you do not want to lift your head too high when sighting. Leave the peace and comfort of having your own lane at the pool. Take advantage of the opportunity to swim with a group of your friends or competitors. Swimming in a group can be both terrifying and exhilarating. To be more comfortable with this aspect of racing, get a group of your friends or tri club members, or take a clinic, together and practice mass starts. 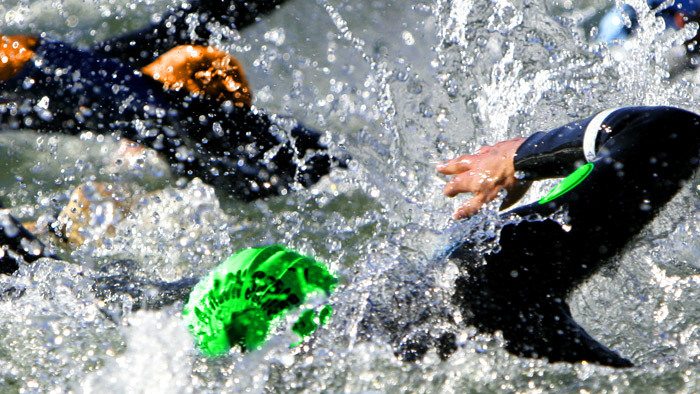 Consider entering a few local open water swim races to gain valuable race experience. The long endurance swim is the most common type of and a very important aspect of open water swim training. 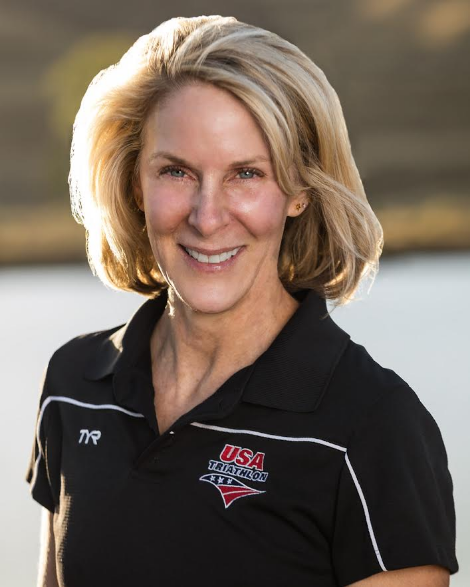 For a more enjoyable and faster open water swim, incorporating skills, drills and speed work will help you progress from survival to performance. Here are three workouts to help you train more efficiently and effectively. Do your homework in the open water to see the results on race day. Workout goal: polo drill for strength, speed and the ability to lift your head high when needed. Polo Drill: 3 to 10 rounds of 4 strokes polo, 10 strokes normal swim. Relax between sets. Polo Drill: 1 to 3 rounds of 4 strokes polo, 10 strokes normal swim. Relax between sets. When you have the chance, take advantage of opportunities to swim in open water. By working on specific skills and becoming more comfortable in the open water, you’ll have more success on race day.